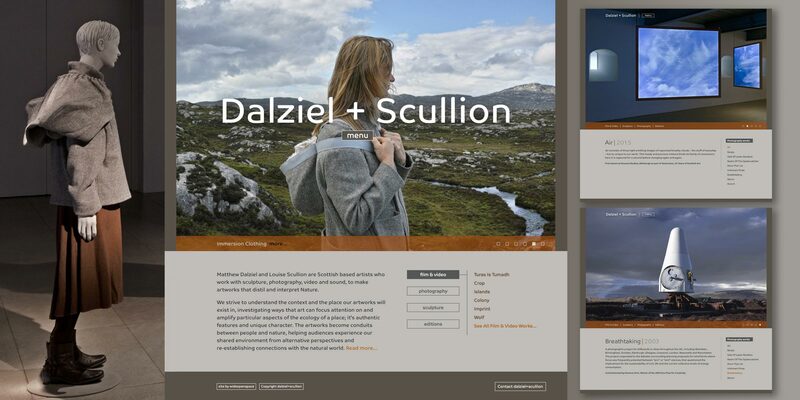 Matthew Dalziel and Louise Scullion are Scottish based artists who work with sculpture, photography, video and sound, to make artworks that distil and interpret Nature. We developed the site to clearly communicate the depth and breadth of Matthew and Louise’s large archive of work while providing the means to promote key work on the home and project pages. It is important that the site is easy to navigate and informative on several levels to a diverse audience including prospective project clients, press and academic users. The site also incorporates an ecommerce store powered by the WordPress-based WooCommerce system, this enables online sale of various products such as photographic prints, artist books etc.